On 12th March some of the country’s top young musicians came together to present a musical showcase that told stories of life, culture and heritage in the Indian Subcontinent. Samyo’s ‘The Great Indian Heritage’, at Beck Theatre, was the latest showcase by the National Youth Orchestra for Indian Music. Each year, the concert, produced by Indian Arts & culture specialists Milapfest, shares the latest creations from its unique Indian orchestral repertoire. Created with a team of world-class composers and tutors, the concerts are often visual spectaculars with a thematic approach. This latest concert, was no exception, exploring four aspects of Indian heritage that could be reflected in music. The concert began with an explosive percussion-only piece ‘Perc at your own risk’, by Kousic Sen, a title that playfully reflects the hustle and bustle of every day life. Featuring compositions by Pandit Ranajit Sengupta, including a beautiful confluence of guitar, piano, saxophone and choir, ‘Together’, and his own signature composition ‘Lullaby’ in which he performed Sarod, photographs, artwork and paintings were projected on screen during the concert. A new feature of the orchestra was a strong Choral ensemble, soon to be Milapfest’s latest creation, the SABRANG National Choir, and it showcased compositions of the Delhi Choir tradition of Gandharva Mahavidyalay, and conducted by Sawani Mudgal. 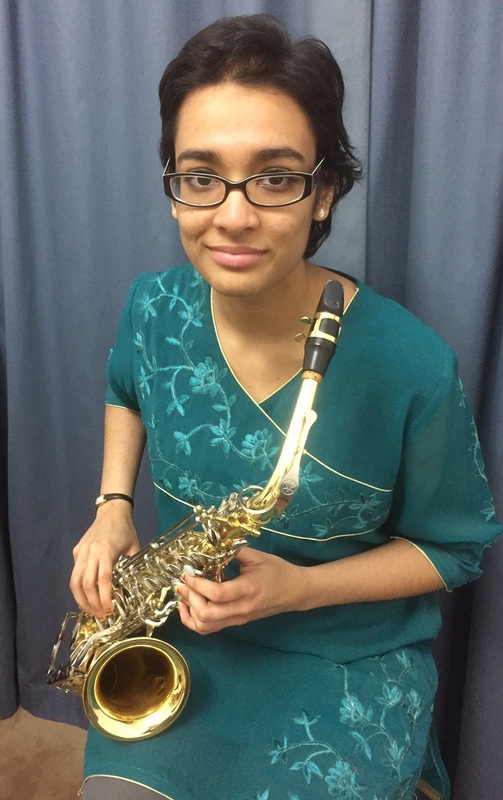 Jainee-Khushali Mayoor Patel (from Bolton school) deputy-leader of National Youth Orchestra SAMYO led with the Saxophone and the Sitar on their annual showcase concert at Beck theatre on Saturday 12th March featuring a modern, classical repertoire of Indian orchestral music. SAMYO is the only orchestra of its kind in the world and features an array of Indian instruments, and the signature SAMYO style that draws from Indian devotional, folk, classical and popular music including western classical/jazz. Jainee-Khushali thoroughly enjoyed performing to a packed audience and hopes more students will feel inspired to join SAMYO by auditioning for 2016/17 via Milapfest website. ‘’As for the children it is not only the awareness but also the readily available opportunities for inspiration and open pathway to a National Orchestra with rare to find training sessions with International maestros. It also enables them to positively impact their CV , UCAS applications, university and job interviews,” says Mayoor Patel .